This image is from a real photo postcard taken in 1920. 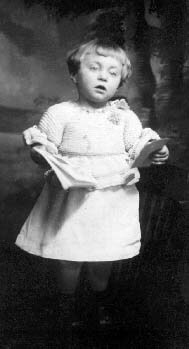 It shows our mother, Margaret Mildred Allen (Cook) when she was two years old. 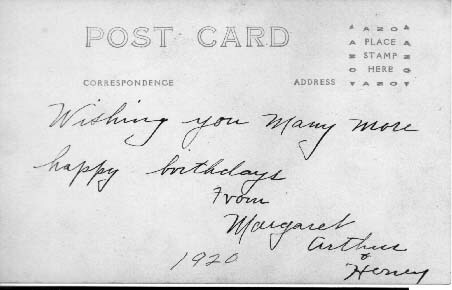 As the image below shows, this photo was given by Grandma Allen as a birthday gift. Mom's nickname during her childhood was "Honey".